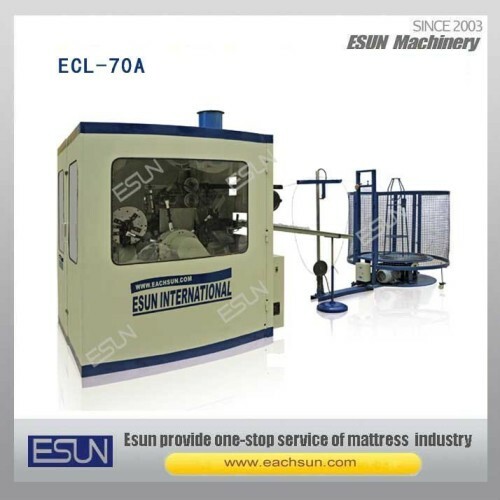 The automatic spring coiling machine model ECL-70A produces Bonnell type spring from steel wire.It is completely mechanical and is operated by a single electrical motor. 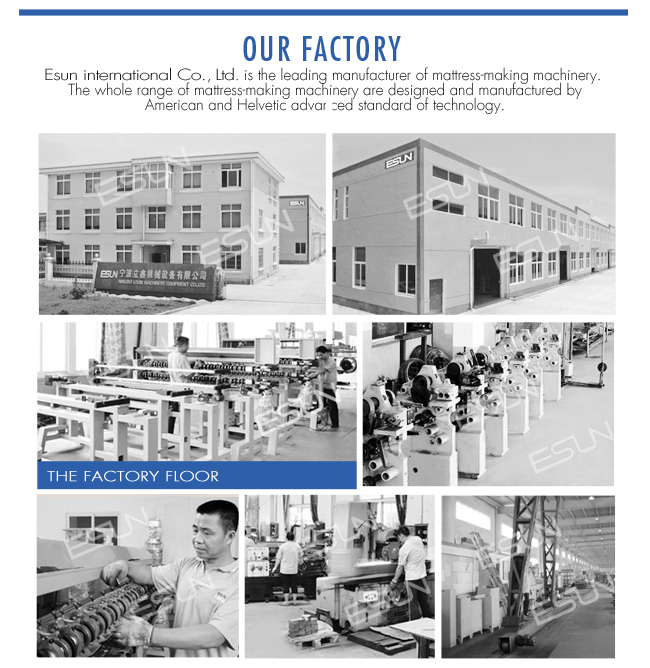 Electronic control systems further improved the quality of spring and its ease of use.
. It can finish entire working procedure of coiling. knoting,heat-treatment and whole line out-put in a single production cycle. It is possible to produce various spring sizes.Thanks to the easy accessible regulation parts, the change-over times are extremely short: about20-40 minutes. and their replacement has been rendered even easier. 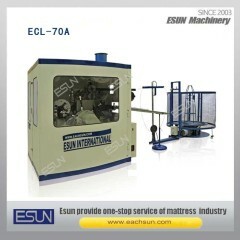 Automatic lubrication greatly prolongs the machine life. The optional soundproof protection cabin and its innovative shape it does not hinder accessing control units.